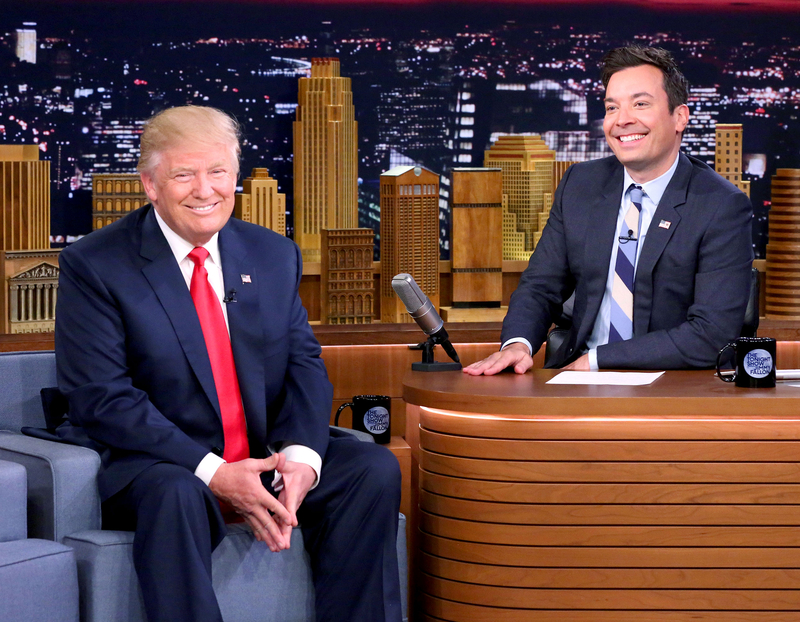 Jimmy Fallon joked about Donald Trump&apos;s presidential win during his Tonight Show monologue on Wednesday, November 9. Watch what he said in the video above! "That&apos;s right, Donald Trump is going to be president. Republicans hope that he will keep his promise to build a wall, and Democrats hope that he&apos;ll keep his promise and not accept the election results," Fallon, 42, quipped to the audience. "Early next year Trump will be moving into the White House, becoming the first president that hangs up his own portrait." As previously reported, Trump, 70, won, over his Democratic opponent, Hillary Clinton, with 279 electoral votes early Wednesday. Afterward, he gave a speech to his supporters at the Hilton hotel in midtown Manhattan, with his wife, Melania Trump, and the rest of his family by his side. "He said he couldn&apos;t do it without the love of his life, his rock, his better half, FBI director James Comey," Fallon joked, referring to the FBI&apos;s investigation of Clinton&apos;s use of a private email server. Last month, Comey announced that the FBI had discovered they weren&apos;t her emails; they thought the emails might be relevant to the case in a separate investigation. The former secretary of state was eventually cleared, but Comey faced backlash for his actions because he didn&apos;t gather more information before going public with his findings. Fallon, meanwhile, went on to joke about Trump&apos;s relationship with President Barack Obama. The current commander in chief, who tirelessly campaigned for Clinton, called Trump after the polls closed. "President Obama called him last night to congratulate him and even invited him for a meeting to the White House," Fallon said. "Of course, it was hard to understand Obama because at the time he was chewing 80 pieces of Nicorette." The former Celebrity Apprentice host was a guest on The Tonight Show back in September. Fallon was excited to touch Trump&apos;s hair during the sit-down, but was later criticized for keeping the interview too light.